In August, we found out that Wegmans, the regional grocery store chain based out of New York, was opening up a location in Washington, D.C. According to sources, Wegmans plans to move into a space currently occupied by Fannie Mae and plans to open by 2022. Moving into a building owned by another company requires a type of real estate lease. While in residential leases, there is not much room for movement in the terms between the interested tenant and the landlord since they are generally drafted by the landlord with little opportunity for negotiation, the same is not true with respect to most commercial leases. First, the lease needs to specify exactly who the parties are. Who is the one that is moving into the building? Who is the one that owns the building? Determining who the parties are goes a long way in figuring out responsibility if there is ever a dispute regarding the lease. It becomes trickier, however, when there might be different entities within an involved business organization. For instance, while XYZ Corp. might exist, it is XYZ Real Estate Corp. (a subsidiary of XYZ Corp.) that is the actual building owner and landlord. On the lease agreement, it is important to identify the correct parties. In this example, if you list XYZ Corp. as opposed to XYZ Real Estate Corp. on the lease, issues might arise down the road. Although related, they are different entities. Second, it is important to specifically identify and describe the property that the landlord will lease. This will prevent misunderstandings down the road. If the property is not properly identified, then the new tenant might think that it has more space than the landlord planned on providing. Third, to avoid financial disputes, the parties should explicitly state what amount is due for the property each month—or whatever other payment period is used. The parties should also determine what happens if the tenant is late on a payment. Will there be a late fee? Additionally, who is responsible for utilities? What happens if there is a repair that is required? Who pays for that? Therefore, price discussions and decisions need not only focus on the rent price, but also other possible financial obligations. Fourth, the parties should agree and explicitly express how long the lease is. Will it last only a year? Longer? Is there an option to extend the lease before it expires? Knowing how long the lease is will make it easier for both parties to decide on future matters and plan better. After the basics are out of the way, there are numerous other matters that the agreement should touch upon. However, the majority of these differ from relationship to relationship. For instance, if the landlord owns a building that houses many tenants, then there may be a clause included in the lease that prohibits the landlord from leasing to a tenant’s competitor. Yet, this type of a clause is not relevant to a relationship in which the landlord only has room for one tenant. Competition is not an issue in that case. Whether you are the landlord or the prospective tenant, you will want to make sure that you have proper representation from beginning to end. 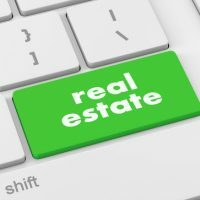 The real estate and commercial law attorneys at Tobin, O’Connor & Ewing are here to help you review and negotiate the initial lease agreement, help in any necessary due diligence, draft needed documents, and make sure you have the peace of mind you need when making important real estate decisions for your company. Make sure to contact us today.